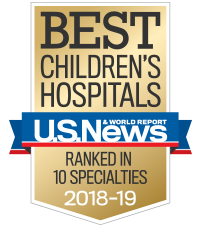 Children’s Healthcare of Atlanta’s team of specialists provides comprehensive care for children and teens with pediatric kidney disease and other urological or reproductive issues. Our specialized team is experienced in caring for children with kidney disease, high blood pressure, fluid imbalances and other conditions. We offer personalized care for children with problems such as bedwetting, urinary tract infections, and complex genital and urinary tract disorders.